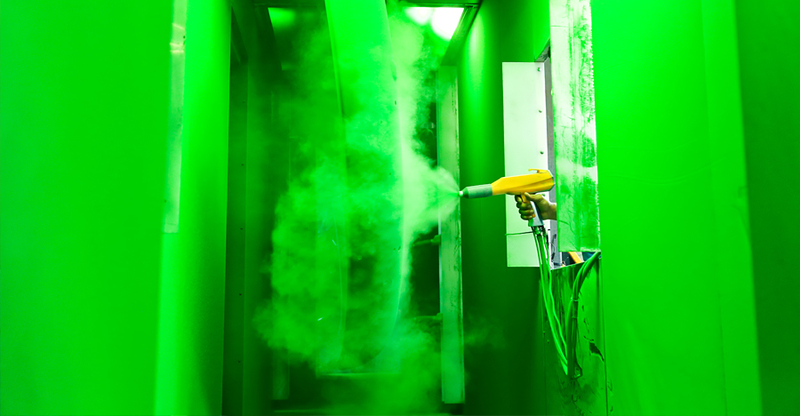 Powder Coating is a method of painting products that uses a powdered plastic resin, which is electrostatically applied and cured onto the part in an oven. SPCI operates four powder coating systems, which are designed and maintained for both part quality and production efficiency. Whether your parts are large or small, or need to be a specific color or texture, SPCI has the proper system for you. Powder is available in a wide variety of formulations, textures, gloss levels, and colors. Common formulations applied at SPCI include; Epoxy, Hybrid, Urethane, Standard Performance Polyester, Super Durable Polyesters, and Fluoropolymers. Depending on the performance criteria of your specific parts, SPCI can help you pick the proper formulation for your application. Powder coating is an extremely attractive, durable, scratch resistant, chemical resistant, and UV resistant coating. Depending on the specific formulation applied, each of these properties will vary. In general, epoxies exhibit good mechanical properties but fare poorly in direct sun light. Urethanes and Polyesters exhibit good weatherability. Super Durable Polyesters exhibit excellent weatherability, and Fluoropolymers are the ultimate coating for UV resistance. Environmentally-friendly: Unlike most liquid coatings, there are no solvents to evaporate in the powder coating process. We do not emit any VOCs into the air, thus minimizing the impact on the environment. Also, no paint sludge is disposed of because powder can be reclaimed and recycled. Thorough Treatment: Powder coating provides superior edge coverage. Since powder coated parts have virtually no drips, runs, or sags, the reject rate is very low. In addition, part to part color consistency is held to a tolerance which is not visible to the naked eye. Quick Process: Parts are ready for use within minutes of exiting the oven. 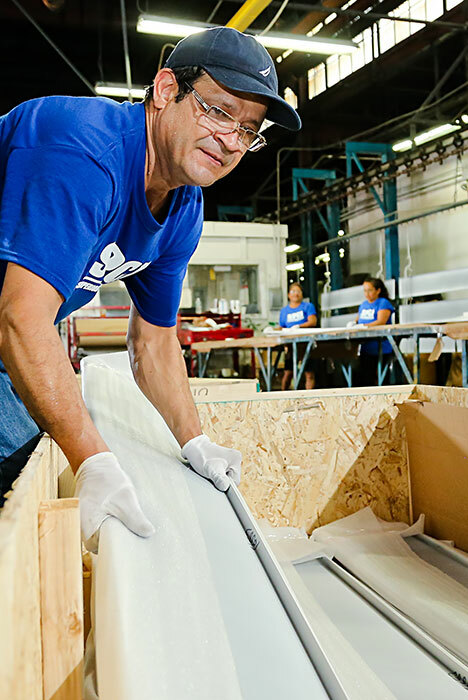 The process starts at SPCI by hanging your part on an overhead conveyor. SPCI stocks a large variety of hanging fixtures to maximize production output. We powder coat over both raw materials and parts that have been electocoated as a primer in our facility. If parts have not been electrocoated, the part is washed with an alkaline solution, rinsed, pretreated with iron, zinc phosphate, or nano-technology sealer, and rinsed again. SPCI has the proper pre-treatment system to meet the most demanding needs. The addition of an Electrocoat prime greatly increases the life and performance of the coating. © Superior Powder Coating Inc. - All rights reserved. Site design by D2P Web Design.